The Macedonian Empire 336-323 B.C. The Macedonian Empire, 336-323 B.C. Insets: The Aetolian and Achaean Leagues. Plan of Tyre. Source: The Historical Atlas by William R. Shepherd, 1923. 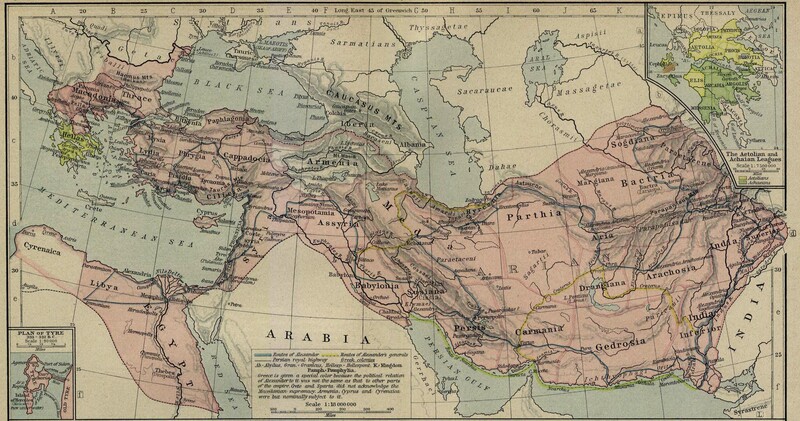 The Assyrian Empire 750-625 B.C.